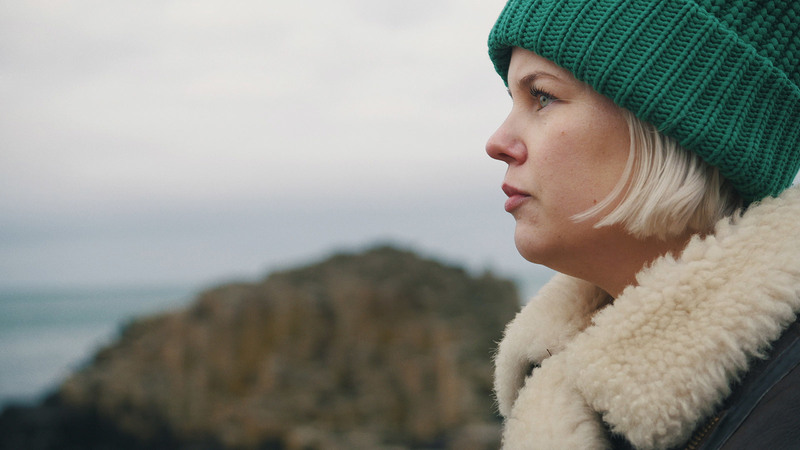 We’re off to meet the company dead-set on letting the world know the forgotten history of the drink in Northern Ireland. Belfast has seen a sharp increase in tourism in recent years: Visitors can learn about the city’s most famous vessel in the internationally acclaimed Titanic Museum; drink locally-brewed beer in award-winning pubs like The Sunflower and Northern Lights; venture out of the city to brave the Carrick-a-Rede rope bridge; or, even just take a relaxing stroll around the St. George’s Market on a Sunday morning. 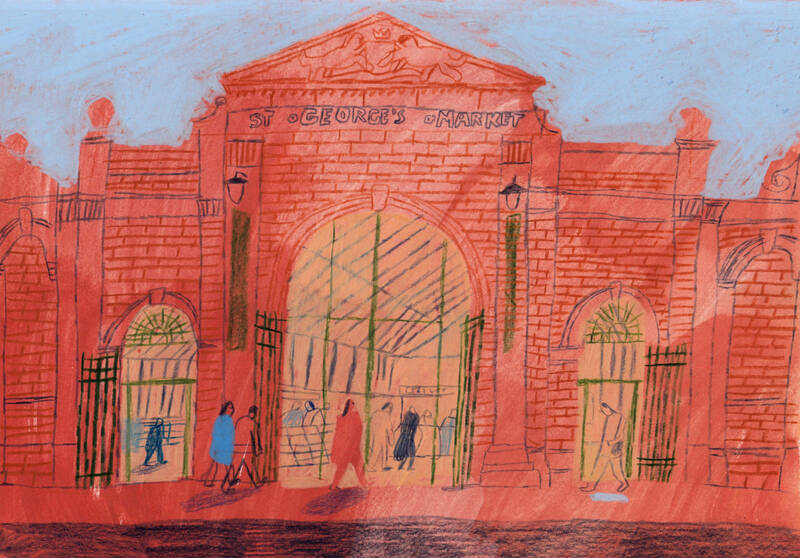 Once home to just a small group of farmers, an influx of investment and an abundance of local businesses has seen St George’s Market renovated into a kind of artisan maze, conveniently located amidst the city’s urban sprawl and now host to over 250 traders in total. Every weekend sees hordes of both visiting tourists and locals flock to this enormous, concrete Victorian-style covered market, the only left in Northern Ireland, to feast upon its acclaimed cuisine–from a traditional greasy Ulster fry to Tex-Mex: whatever they fancy. 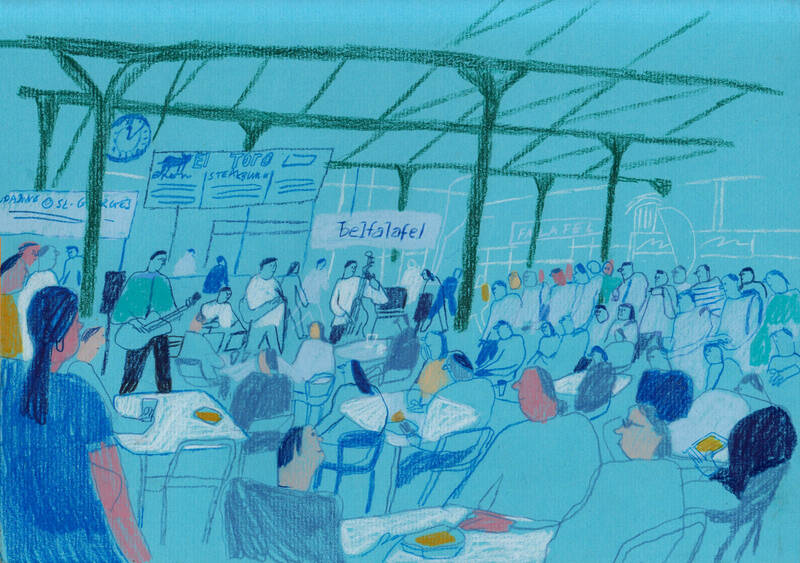 The sounds of a revolving cast of local musicians are heard echoing throughout the premises, and keen listeners can be spotted sat in a cluster of strategically-placed steel chairs at the market’s center throughout the day. Every stall here is different, each with its own unique story: Iona Barry has been selling her toffee and other sweets since 2009; Richard Walls’ handmade Harry Potter-style wooden wands have been an enormous hit with his fellow Hogwarts aficionados; Liam Mac, of ‘Belfast Belly Busters’, sells boatloads of baps crammed with bacon, pudding and sausages to a barrage of grateful, hungover customers. St. George’s–just a short walk from the famous shopping hub, Victoria Square–is a microcosm of the variety modern Belfast has to offer both visitors and residents alike. There’s even a special seasonal Twilight Market, with plenty of beer, music, and local food for good measure. 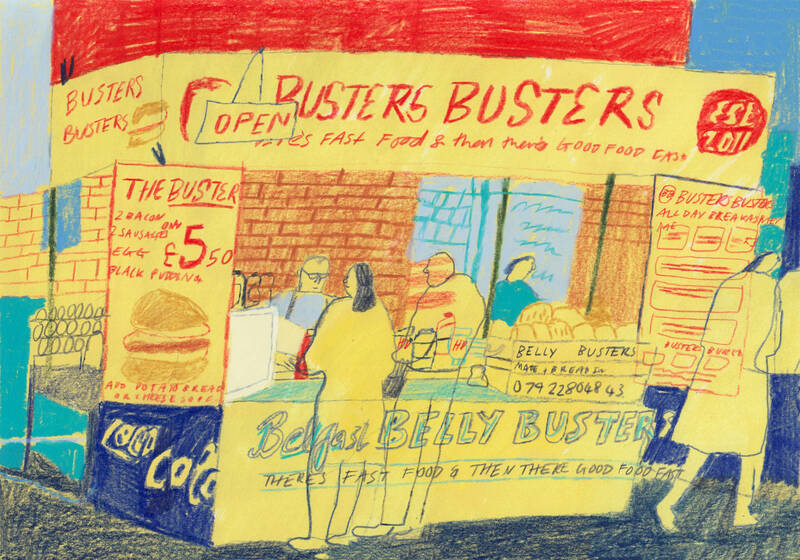 Across the way, past the fishmongers, butchers, and vegetable stands, lies a stall belonging to two of Wayne Adair’s businesses – Papa’s Mineral Company and Longbridge Ginger Ale. 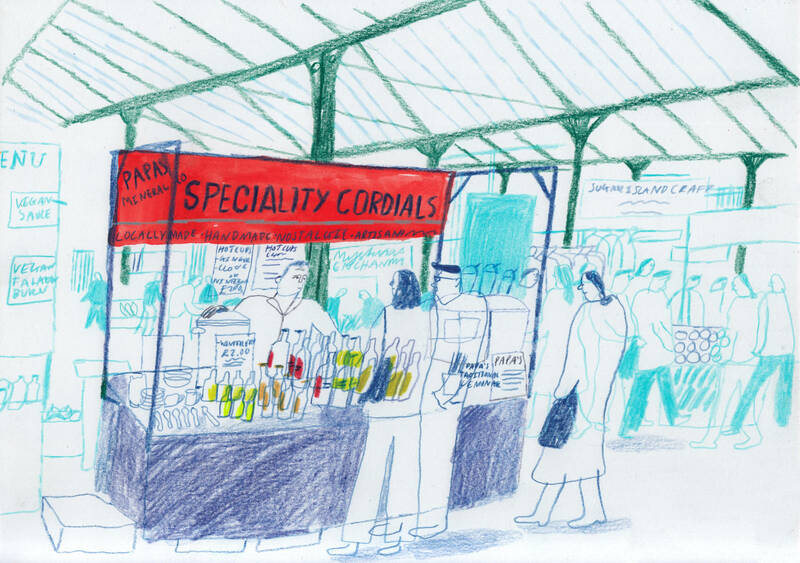 Adair has been at St George’s Market for 20 years and in addition to selling cordial and tonic, he’s assigned himself a special mission: return ginger ale ‘to the city from whence it came’; tell as many people as possible about the forgotten story of the drink’s Belfast origins. A few years after coming up with the formula for ginger ale, McLaughlin would travel back to his homeland to form Canada Dry, which became the market leader for the drink. Northern Ireland and ginger ale were associated with each other into the early 20th century. During the Era of Prohibition in the United States, Belfast companies exported gallons of the ginger ale to America, making a fortune and gaining worldwide notoriety in the process. The end of the US constitutional ban on alcohol in 1933 saw a sharp decline in sales for these companies, and most of them went out of business. Soon, Belfast’s relationship with ginger ale was a thing of the past. 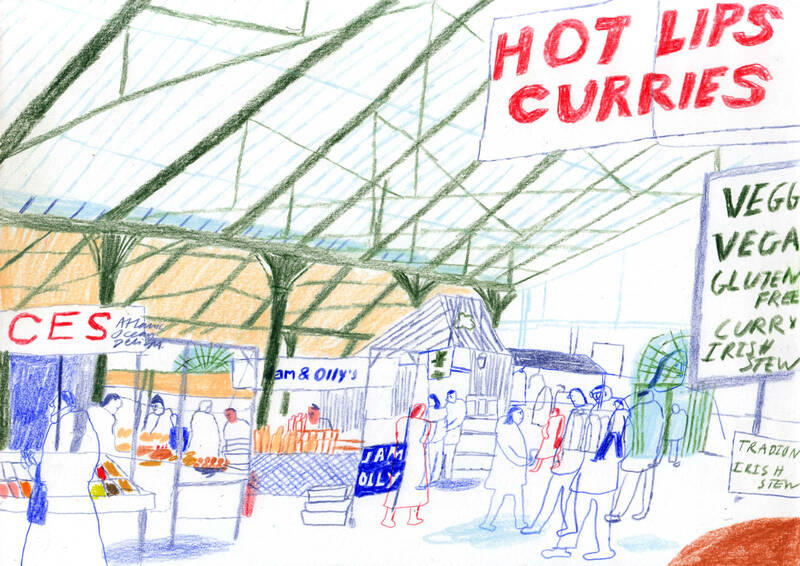 As Northern Ireland’s restaurants, bars, museums and scenery continue to attract people from both inside the UK and beyond, the next twenty years Adair’s businesses spend at St George’s Market may just see ginger ale and Belfast become famously associated worldwide once again. Why not make the trip and drink it right from the source? 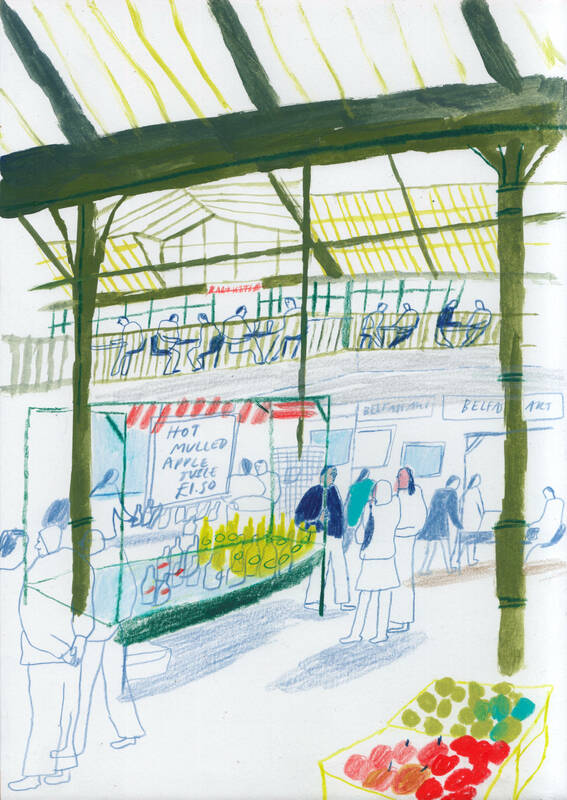 Drawings captured by the artist at St Georges Market. There are a lot of options accommodation-wise in Belfast, depending on your budget. Cheap hostels and hotels make staying in the city an easy-option. Check out the Belfast International Youth Hostel, on Donegal Street, from around £20 a night. The beautiful scenery in Belfast and Northern Ireland made it an ideal filming location for ‘Game of Thrones’. A number of related tours are available to visitors, who can visit their favorite locations from the show, and hear behind the scenes gossip. Belfast takes just an hour and thirty minutes on a flight from Heathrow, or about two-and-a-half hours via ferry from Liverpool. If you’re visiting elsewhere in either Northern Ireland or the Republic of Ireland beforehand, it can also be accessed cheaply via rail. Looking for something a little bit different after your trip to see Belfast, it’s history, food and nightlife? Why not venture to the famous Finn Lough Resort in the nearby County Fermanagh, where you’ll sleep in a pod under the stars. Failing that, venture west and check out the Tower Museum in Derry/Londonderry.